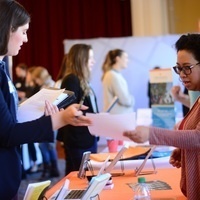 To register please log in to HireSaints, our career management portal, or connect with our employer relations team at careercenter@emmanuel.edu or by calling (617) 735-9930. Hello everyone if you are leave a new experience on window10. that is the use of the businesses class window https://windowsclassroom.com/how-to-take-screenshot-on-windows-8 if you are read the content are full with content to join the website. The internship and following the more topics on management and employer relations always,thanks for sharing with us. This https://www.cheapessayservice.net/our-services/article-critique/ site always giving us and making the better college based topics with us.